We aim to make managing your money as easy as possible. Online Banking gives your greater access to manage your money. Whether you just need to check your account balance or want a better way to pay your bills, Online Banking is your solution! An Online Banking account with Raccoon Valley Bank gives you convenient access to not only view your checking, savings and other accounts, but also review your account history, re-order checks, transfer funds between accounts and much more. The ease this brings to anyone’s financial management, from farmers to office workers, makes Online Banking from Raccoon Valley Bank an important financial tool. Are you tired of writing checks for your recurring bills and waiting for them to clear? 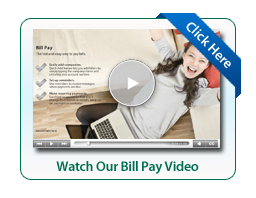 With Online Bill Pay, you can spend less time paying bills every month! After going through a simple enrollment and setup process, you will be able to pay bills directly through your Online Banking account. Is it becoming a hassle to organize your paper bank statements? Switch to eStatements! 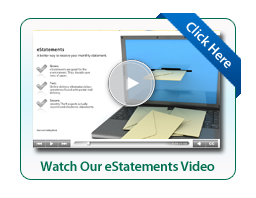 You get notified every month via email when your eStatement is ready and view it securely within your Online Banking account. You will need to be enrolled in Online Banking first to use eStatements. Once you are enrolled, select the “Options” section in your Online Banking account, then select “edit” in the eStatements section. Not only does using eStatements help you organize your monthly statements, but it also helps the environment!